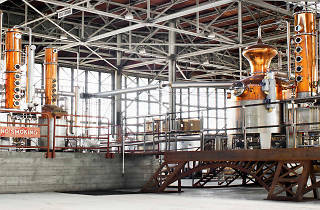 St. George Spirits' 65,000-square-foot naval hangar was formerly a facility for film props, as evidenced by the giant fiberglass shark lurking among the stills. The brand was founded in 1982 by Jörg Rupf, who created his own eau de vie from berries and pears in a single Holstein pot still. Today, the company stays true to its roots, distilling a variety of fruit brandies and liqueurs, as well as citrus- and green chile-flavored vodka. But St. George is best known for its gins, particularly the floral Botanivoire and the woodsy Terroir varieties. (The latter tastes like an evergreen in a glass.) 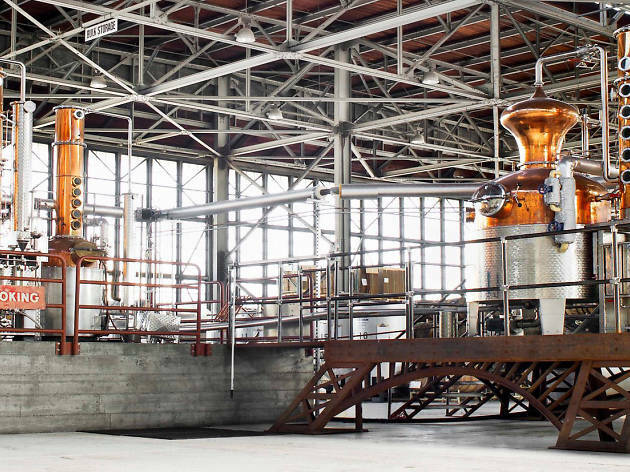 The 90-minute tour ($20) includes a glimpse into the distillery’s laboratory, production area and tasting room, where you’ll get to choose six spirits to sample .